What’s a brunch without mimosas? Can you even call it brunch if mimosas aren’t even an option? 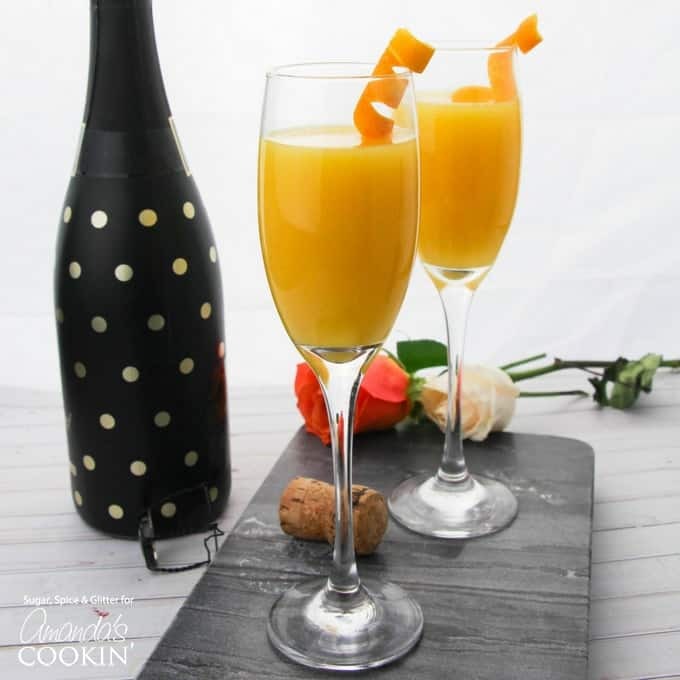 Better to play it safe and have this mimosa recipe ready and waiting for your next get-together! Serve it alongside our Vegetable Frittata for a perfectly delicious brunch menu. 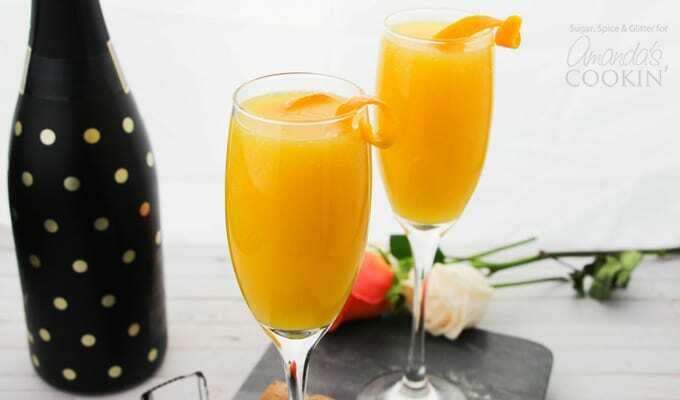 Brunch is usually accompanied by a mimosa or a classic Bloody Mary, so if you plan on having guests over or want to have a recipe handy, this mimosa recipe comes together quickly with no fuss. 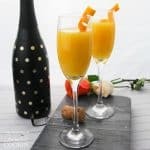 While brunch might be a bit early for a full glass of champagne, adding some OJ to the mix allows you to still toast the occasion without getting too buzzed before bacon. 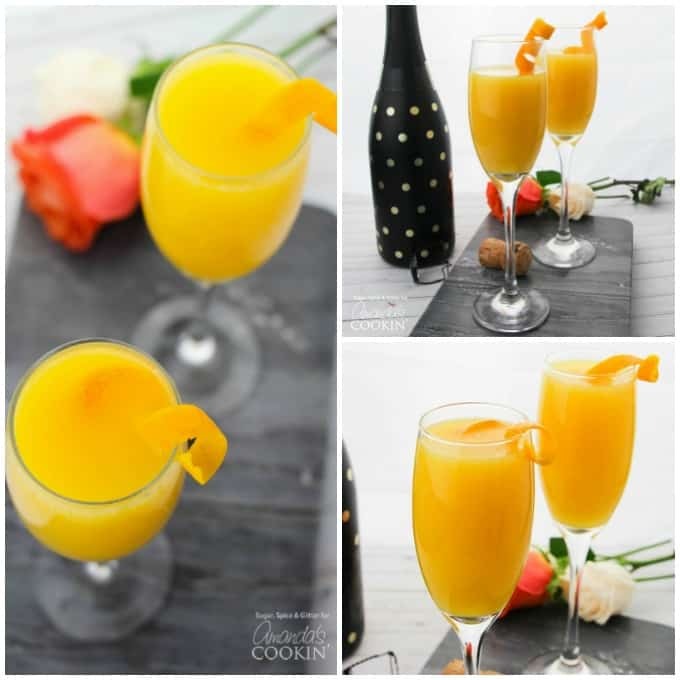 Orange juice is the perfect complement to champagne, as it sweetens it without resulting in a cloying cocktail. 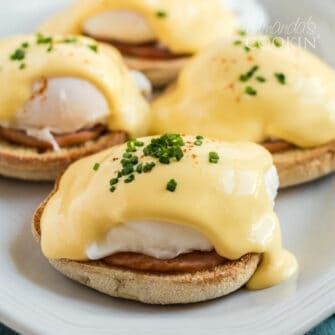 They also work beautifully with most brunch recipes – whether you’re serving savory dishes (like our Poached Eggs in Tomato Sauce) or going the sweet avenue (like our Strawberry Sweet Rolls), a mimosa doesn’t overpower or contrast yet they are most definitely not boring! Mimosas were first invented in 1920s Paris and still to this day have that elegance that one can imagine they originally held. 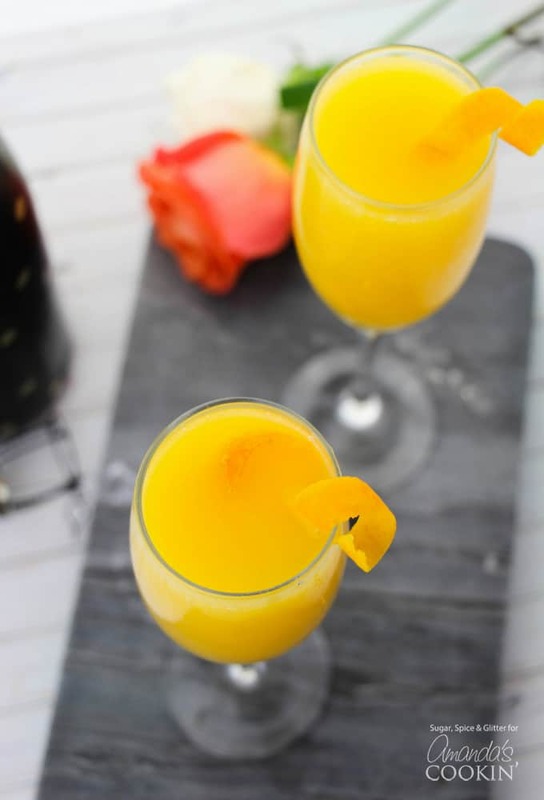 There is truly no better way to greet your brunch guests than with a freshly poured mimosa. And, of course, you can swap out the orange juice for whatever is in season – or to complement your menu. Why not try a white cranberry mimosa for Christmas? Or a strawberry mimosa for summer? For more brunch worthy cocktails this Pineapple Prosecco Punch and Cranberry Prosecco Punch are great options as well! Can you even call it brunch if mimosas aren’t even an option? Better to play it safe and have this mimosa recipe ready and waiting for your next get-together! Fill your champagne flutes halfway full with orange juice.